Crafting, its in my blood! 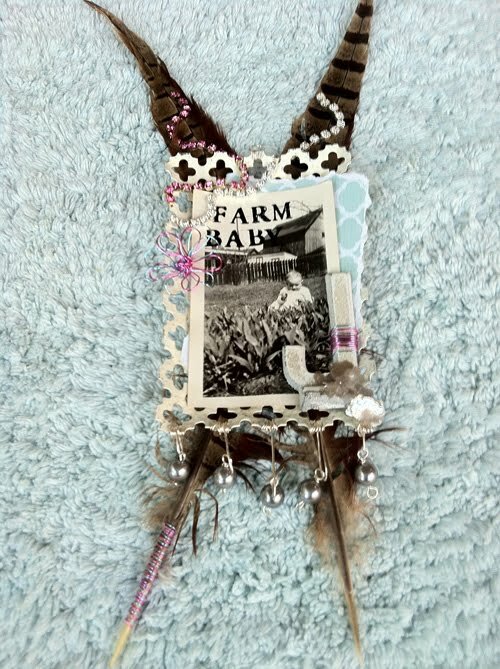 I love creating projects of all types and get really excited when I have the opportunity to share one of my creations with the ILOVETOCREATE readers! 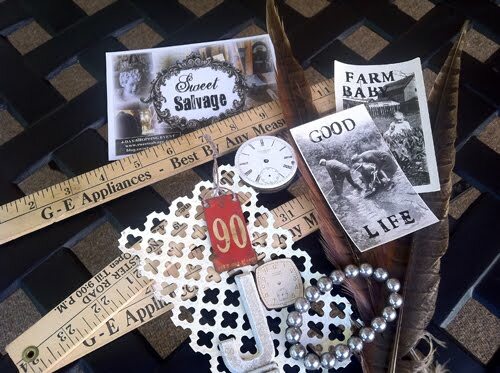 Recently I went shopping at this really cool place in Phoenix Arizona Called “Sweet Salvage” with my dear friend and business associate Stacey Caron, Owner of Spellbinders to find some cool items for my next project. The shop is only open once a month and people line up for hours just to get in. I was so excited because I truly love this kind of store. You can find new, used and really old treasures from furniture, lamps, crystals, lace, artwork and so much more. I couldn’t resist the folding yard stick, it folds in thirds which is really cool for portability! The old watch face captured my attention right away and the lattice frame was a true find. 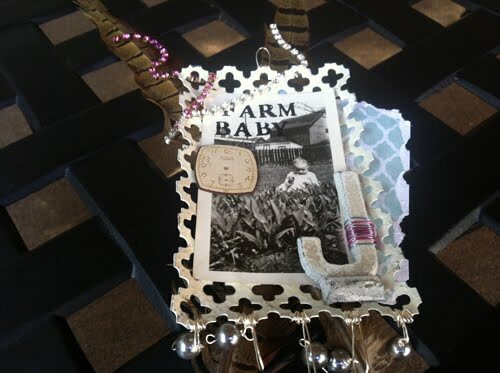 Of course I had to have the metal letter J, feathers, faux pearls, old black and white photos and other trinkets. 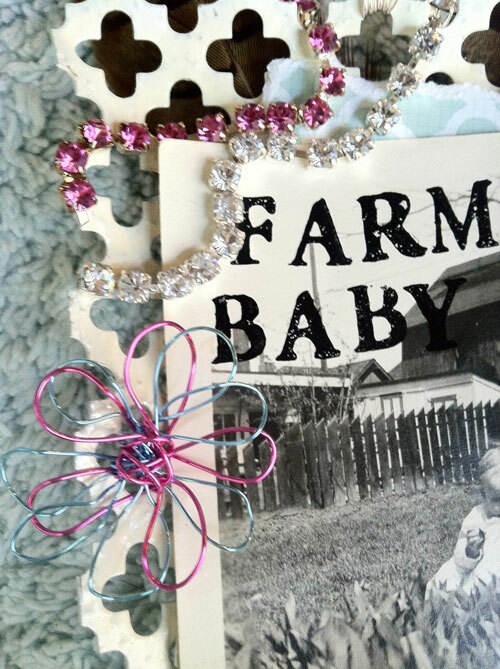 I knew all of these items would make a cool project and that it would come together with my most favorite Aleene’s Glues. 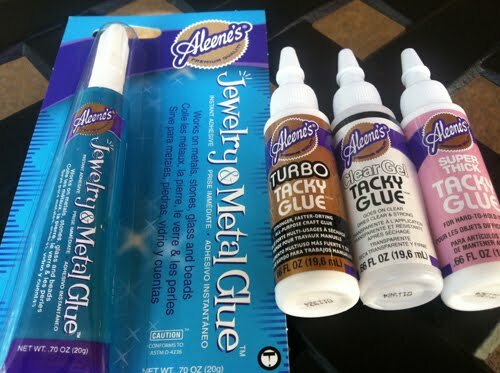 Aleene’s Jewelry Metal Glue is AMAZING! 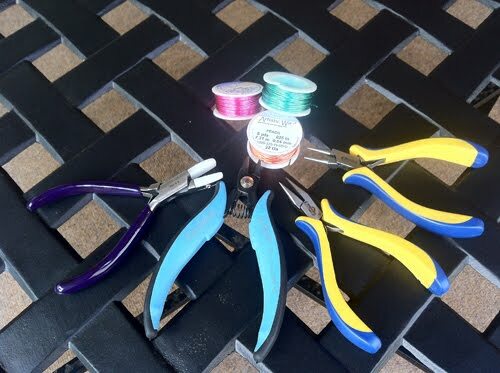 Its super quick to adhere and dry, not only perfect for all of your jewelry projects but a must have for any project that requires a instant super duper hold. Of course I also had to use my favorite Aleene’s Glue, Super Thick Tacky Glue available in a variety of sizes including this uber cute Travel Size. This particular Tacky Pack, giggle giggle, contains Turbo Tacky Glue, Clear Gel Tacky Glue and Super Thick Tacky Glue. We also stopped by a local Scrapbook Store. 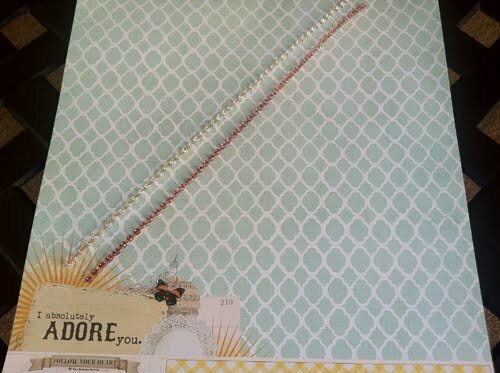 I bought this really cool paper by My Mind’s Eye exclusively designed by Rhonna Farrer called Follow Your Heart “Be Amazing” Be Adored Paper. Its double sided so you have twice the amount of creative expression. In addition to the paper I bought some beautiful crystal and pink rhinestone trim. Of course no project is complete without my favorite Beadalon Tools and Artistic Wire. For this project I used 22G and 24G wire. 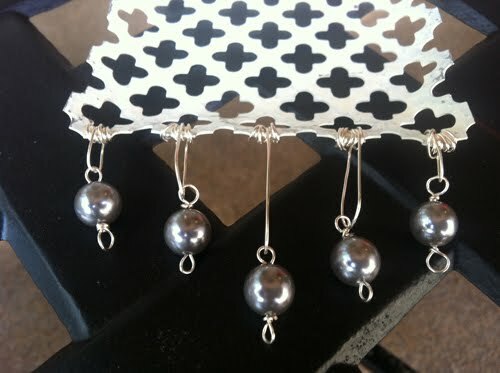 Using Artistic Wire 24G Tarnish Resistent Silver, wrap wire around bottom opening of lattice frame. 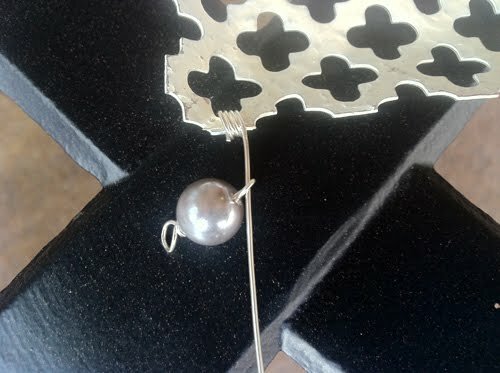 String pearl on to separate piece of wire and create loops at each end using your round nose pliers. 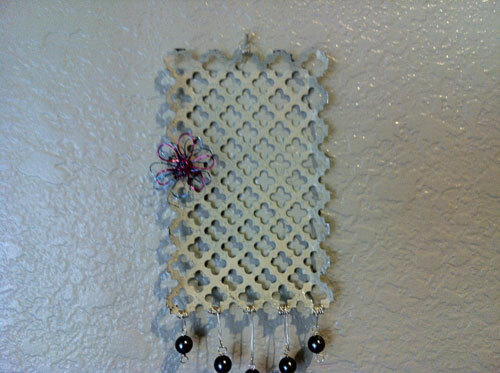 Continue to add wire and pearls to each bottom opening of lattice frame. Its always a good idea to lay out your project before glueing, especially if you decide not to use a piece in your project. You may want to pre-hang your frame to see how placing will look while in the Vertical position and on a wall. I used Super Thick Tacky Glue to adhere the two feathers together and the photo and paper. I wanted to make sure that I had a super hold on everything else so I used my Aleene's Jewelry Metal Glue. I really enjoyed making these hand made wired flowers using 24G Ice Blue and 22G Rose Artistic Wire. 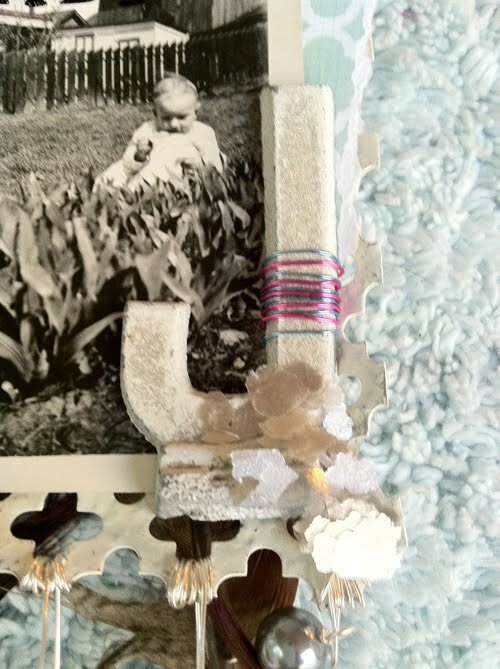 I also wrapped the metal letter J with wire and layered mica flakes using Aleene’s Super Thick Tacky Glue. The J was attached with Aleene’s Jewelry Metal Glue. 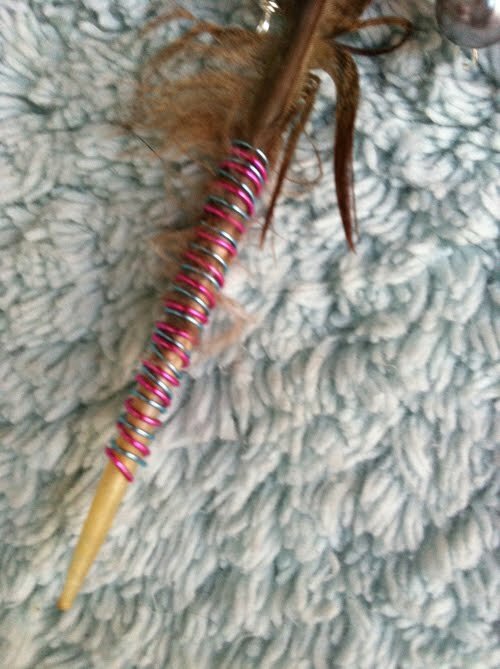 I wanted to cover the bottom of the feather so I wrapped wire around and secured it with Aleene’s Jewelry Metal Glue. In case you didn’t know I was raised on a ranch outside of Oxnard California. 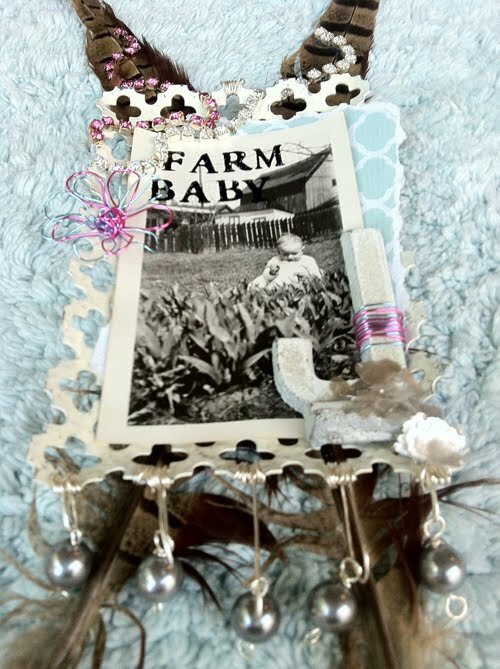 So Farm Baby is totally appropriate! I love it! What's the lattice made of? Paper or metal?